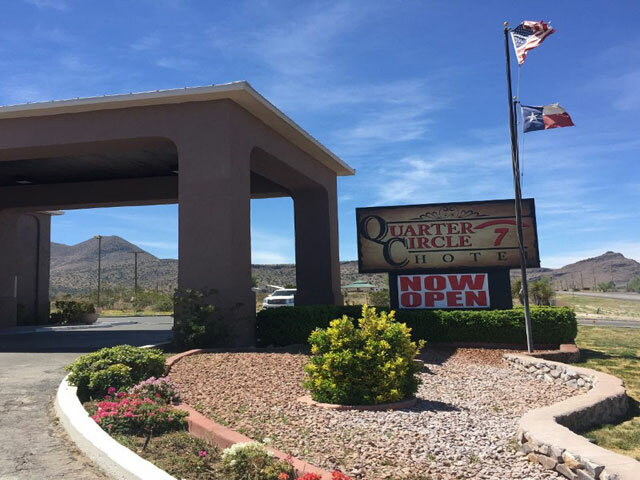 Settled on the western edge of Alpine in the foothills of the “Twin Peaks” Mountains of the Chihuahuan Desert, the Quarter Circle 7 Hotel is the kind of place you go to soothe your mind, body, and soul. Relax in the indoor swimming pool and take in a gorgeous West Texas sunset from your cozy room. Owned and operated by a fourth-generation ranching family, Quarter Circle 7 Hotel serves up western charm and true cattleman’s hospitality that will make your visit to Alpine unforgettable. Given its range of amenities and services, Quarter Circle 7 Hotel goes above and beyond to provide you an exceptional stay. Start your day with a continental breakfast and soak up the abundant West Texas sunshine as you explore jogging paths and a nature trail. Then work up a sweat in the fitness gym before letting the inviting waters of the indoor swimming pool and hot tub relax you. Book an appointment for a massage, facial, or a body scrub at the full-service Seventh Day Spa—which even offers laser hair and tattoo removal—to really unwind. For all that’s going on at this hotel in Alpine, your stay starts and ends in your suite. Choose from rooms with either two double queen beds, one king bed, or a suite with a king bed and a spacious fore-room. All units come with wireless internet access, a shower and tub, refrigerator, and elegant rustic décor like leather furnishings and custom wood bedroom sets that’ll bring the charm of West Texas right into your home away from home. Although you could easily spend your entire stay at Quarter Circle 7 Hotel, you’d miss out on one of its major advantages: its location. Catch a minor league baseball game, see cowboys competing in rodeo events, and stop by the tasting room at Big Bend Brewing Company right here in Alpine. Take in all the spectacular mountain views as you explore the hiking trails in Davis Mountains State Park, located all of 30 minutes north of the hotel, or cruise just over an hour south to reach Big Bend National Park. 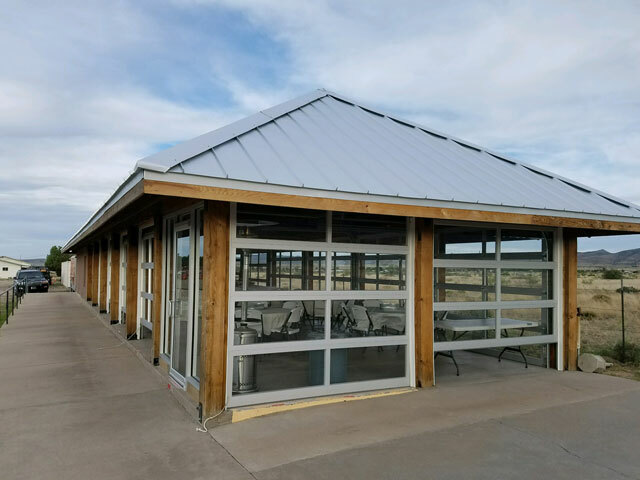 In addition to all it has to offer for anyone looking to explore the Big Bend region, Quarter Circle 7 Hotel has indoor and outdoor venues perfect for West Texas weddings and other events large and small. Worried about catering? The hotel can provide everything from barbecue to more elegant fare. Planning your next adventure to the Big Bend region? Treat yourself to comfort and luxury at the Quarter Circle 7 Hotel, where you’ll find everything you need to have a great visit to Alpine.